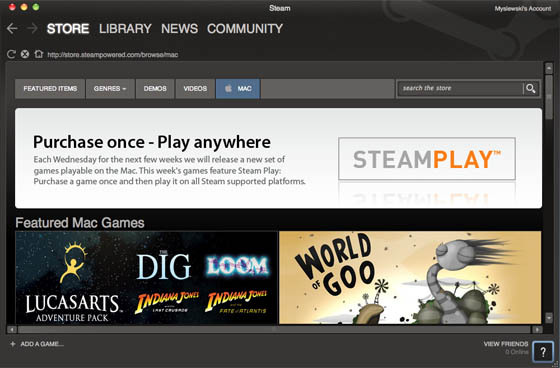 The online gaming megaservice and gamers' community Steam has introduced Mac support, as it promised on Tuesday. The eponymous - and free - access app is now available for download from the Steam website. That's the good news. The bad news is that owners of older Macs need not apply. Steam will launch only on Intel-based Macs running Mac OS X Leopard 10.5.8, Snow Leopard 10.6.3, or later. Wednesday's release is a bit sparse, with only 64 titles offered - the larger Steam universe includes over 1,100 games - but Valve has promised to continue adding titles "each Wednesday for the next few weeks." Today's featured Mac games on Steam all conform to the Steam Play feature, which allows the same purchase to be played on either a Mac or PC. Among them are Sid Meier's Civilization IV: Colonization, Sports Interactive's Football Manager 2010 (Note: That's football, not football - Ed. ), and Runic Games' Torchlight. "Having Steam for the Mac solves so many problems for us as a developer," said Runic Games' co-founder Max Schaefer in a canned statement. "We look forward to our future games coming out on the Mac as well." 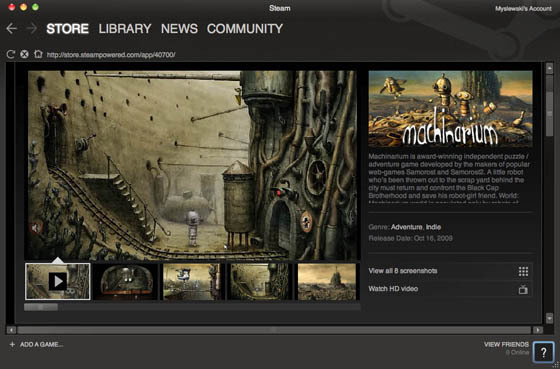 Steam's developer, Valve, first announced that Steam was coming to the Mac playform back in March of this year. At that time, Valve's biz-dev head Jason Holtman said: "Steamworks for the Mac supports all of the Steamworks APIs, and we have added a new feature, called Steam Play, which allows customers who purchase the product for the Mac or Windows to play on the other platform free of charge." Valve released Steam for the Mac at around 1pm Pacific time on Wednesday. We downloaded it just mere minutes later. After installing it - a simple drag-and-drop task - we launched the app, only to be told that a 33MB update was already available. For a 10-minute-old app.